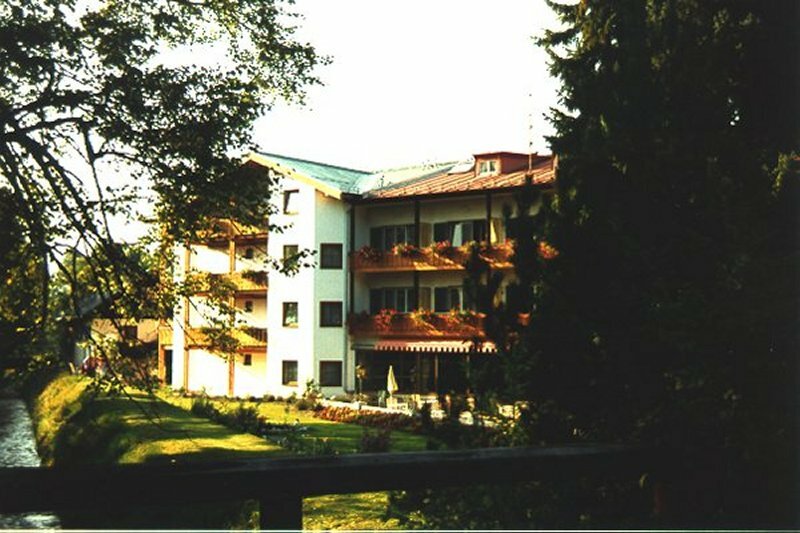 The hotel is very scenically situated, but close to other housing. The small stream flowing past the front was clean and clear. The bridge was typical German engineering - sturdy!